Possum Point Players' New Faces of Shakespeare performed various scenes from Shakespeare's works on Thursday, February 16, 2012, 6:30p at the Georgetown Library located in Georgetown, Delaware. 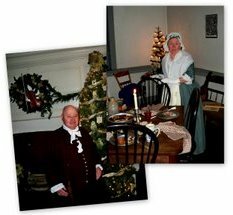 The director was Ms. Maureen Downing of Lewes DE. Here are a few pictures from that event. Click to start the slideshow! 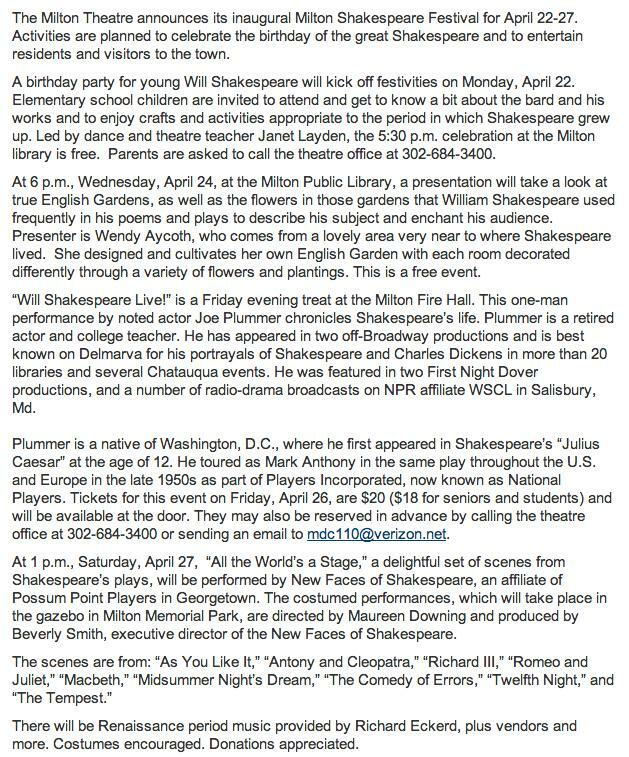 NFS will perform various scenes from Shakespeare's works as a part of the Milton Library's Shakespeare Birthday Celebration. The date is Saturday, April 21. This 1:00p performance will be directed by Ms. Sharron Karrow of Milton DE. Phone the Milton Library at 302.684.8856 for more information. 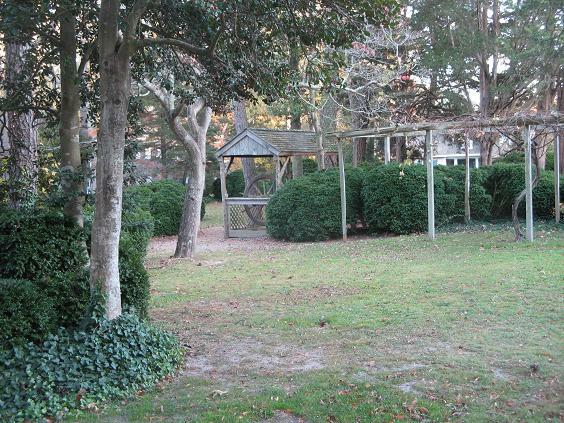 Here are some pictures from the Rehoboth Art League outdoor playing space --the site for A Midsummer Night's Dream. Click any pic! 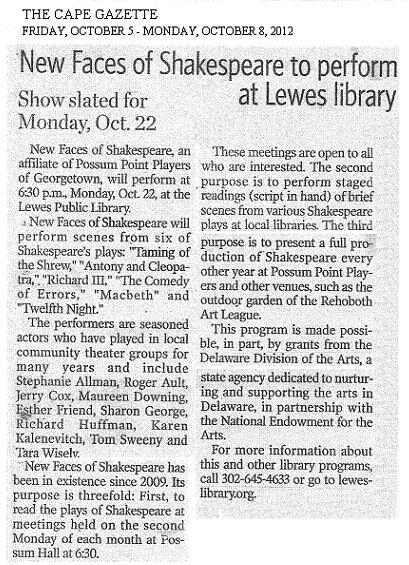 This show is being produced by The New Faces of Shakespeare, an affiliate of Possum Point Players, Georgetown, Delaware. The production is directed by Beverly Smith. PPP's New Faces of Shakespeare is thrilled and privileged to have Michael J Murnin direct TWELFTH NIGHT; OR, WHAT YOU WILL.You may have seen Michael Murnin as the priest in PPP's 2011's DOUBT (below), as the narrator in 2010's A CHRISTMAS STORY or his production of WHITE CHRISTMAS THE MUSICAL last year. He most recently directed PPP's summer 2014 farce SEE HOW THEY RUN. Michael has a long list of directorial credits including TWELFTH NIGHT, A MIDSUMMER NIGHT'S DREAM, LOVE'S LABOURS LOST, THE MERRY WIVES OF WINDSOR, RICHARD II, ALL'S WELL THAT ENDS WELL, AS YOU LIKE IT, and THE COMEDY OF ERRORS. Members of the PPSP have also lead workshops for Possum Juniors and have given programs for classes at Seaford High School, Woodward High School, and Shield Elementary School in Lewes. 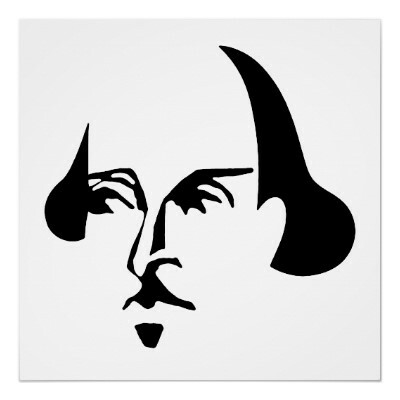 If you enjoy reading or performing Shakespeare's plays, then this is the group for you! For more information about PPSP and to learn what readings will be taking place, please contact Beverly Smith at 302-745-1821 or Richard Huffman at 301-529-8403. What happens when a ship wrecks off Coney Island, New York at the turn of the 20th century? A pair of twins, female and male, are saved unbeknownst to one other. The female, Viola, fears this imposing place and seeks safety by disguising herself as a man and seeks a job with the mayor, Mr. Tilyou. Tilyou, however, is incapacitated by the love sickness he has for the rich Countess Olivia who is mourning for seven years at the death of both her father and her brother. The distraught Tilyou decides to send his new employee, Cesario (Viola) to court the resistant Olivia. Ironically, Olivia becomes immediately smitten with this messenger and actively begins to try to charm him into a relationship. When Viola’s lost twin brother, Sebastian, appears, there is much craziness with mistaken identities. The resolution of this plot takes many turns. Meanwhile, Olivia houses her uncle, Sir Toby Belch, who loves her witty chambermaid, Maria. Also living there is a servant, Fabian, a courtjester, Feste, and her major domo, Malvolio. 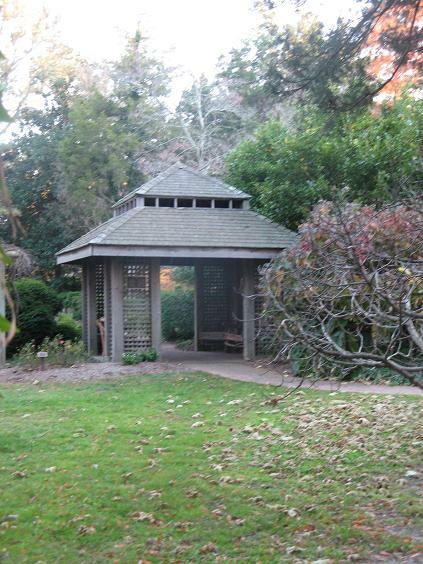 Stopping by is a wealthy old crony of Toby’s from the South, Sir Andrew Aguecheek. Toby, Maria, Fabian, and the Fool have a great time playing practical jokes on the uptight, puritanical Malvolio, and bilking Sir Andrew out of his money. The two plots intertwine in brilliant Shakespearean fashion to a mostly happy ending, set in the "Electric Eden" of Victorian Coney Island. 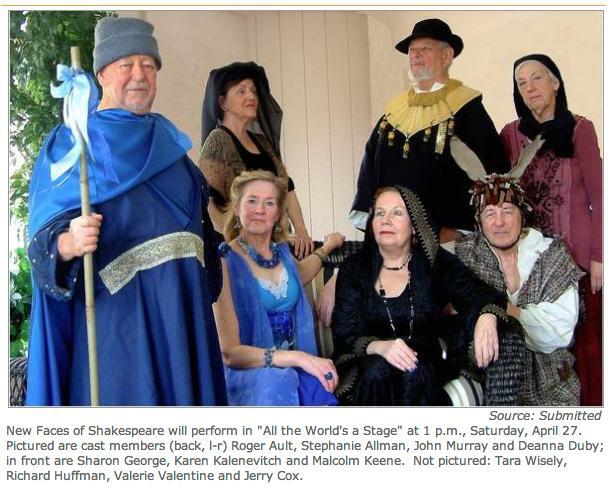 PPP's New Faces of Shakespeare has recently renamed itself the Possum Point Shakespeare Players to identify more strongly with its parent group, the Possum Point Players. 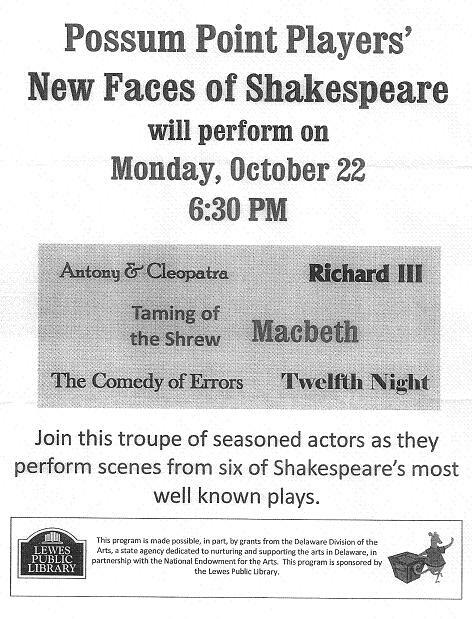 PPSP seeks to promote the appreciation of the plays of William Shakespeare in lower Delaware. We invite all to explore the vastness of human emotions through reading and performing his works. 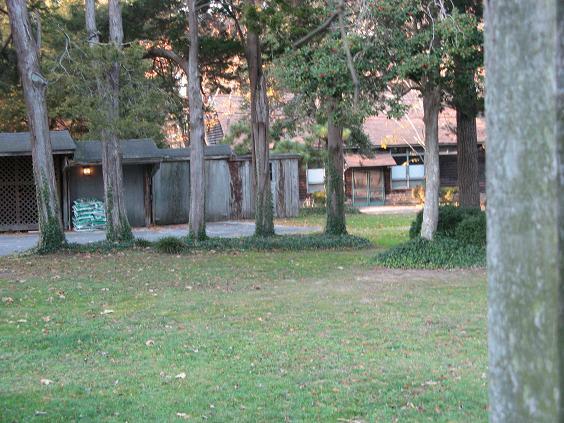 Those interested in reading the plays meet at 6:30p on the second Monday of each month at Possum Hall, in Georgetown. A play is selected and a leader emerges to give some background on the play and to assign parts around the table. The play is read over a series of meetings. 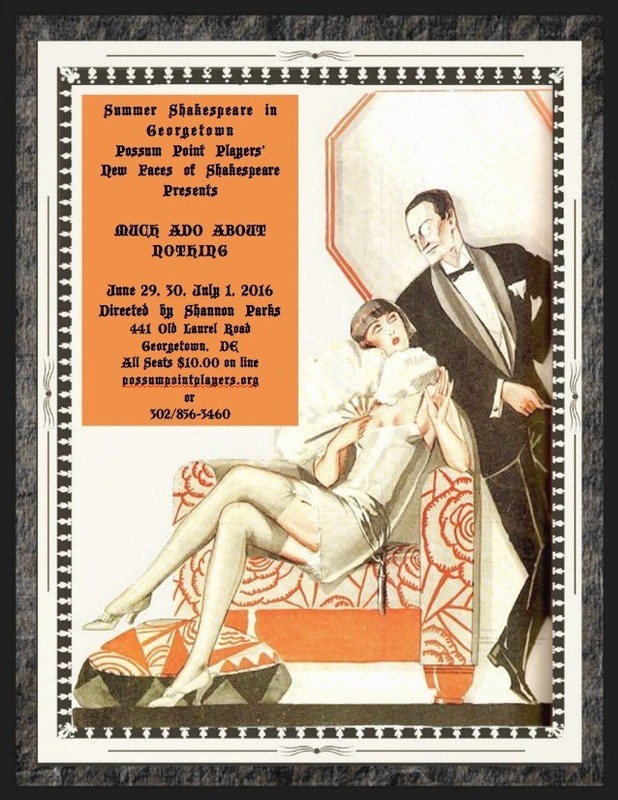 Those interested in performing scenes or in full-length productions volunteer or audition for a designated director. 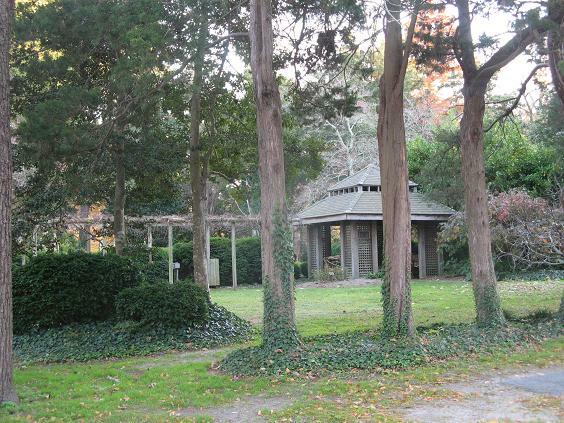 Actors have performed programs of scenes at a number of libraries, Bridgeville, Greenwood, Georgetown, Milton, Lewes, Seaford, and at the gazebo in Milton. 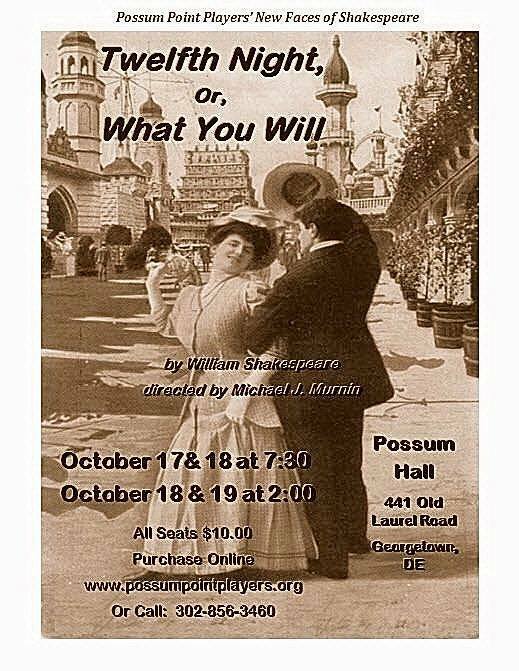 Starting in 2009 PPSP produced THE TAMING OF THE SHREW; in 2011, AS YOU LIKE IT; in 2014, TWELFTH NIGHT, OR WHAT YOU WILL; in 2016, MUCH ADO ABOUT NOTHING all on the Possum Hall stage. 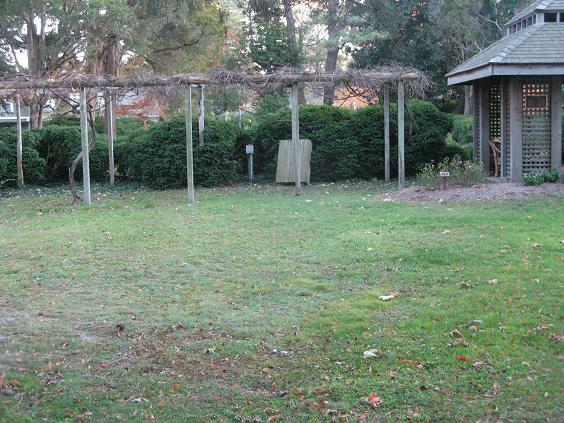 In 2012, A MIDSUMMER NIGHT’S DREAM was produced in conjunction with the Rehoboth Art League in the League’s gardens. 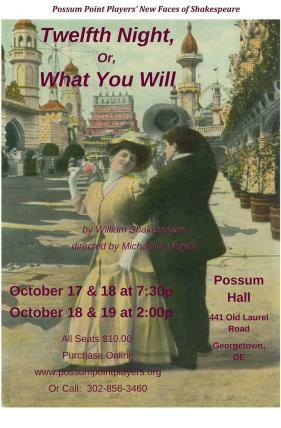 About every other year a full-length play is produced on the Possum Hall stage. 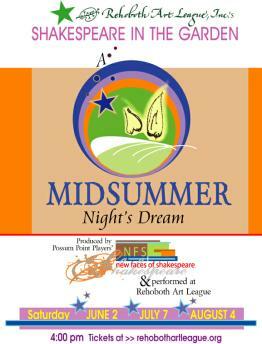 PPSP presents a bit of The Tempest at Shakespeare Day in Rehoboth Beach, April 21, 2018. Pictured (l to r): Sharron Kerrow, Thom Harris, Tara Wisely, Elizabeth Holz (obscured), Claudius Bowden, Michael Short (obscured), Mary Moran, Richard Huffman. 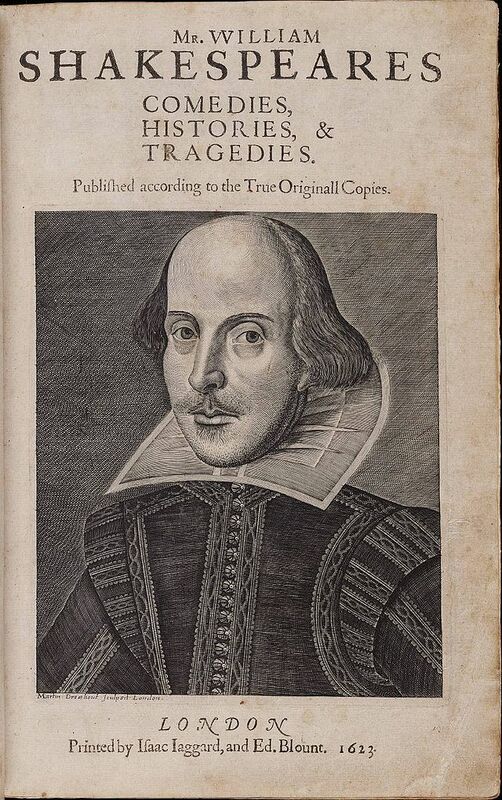 April 23, 2018 was William Shakespeare’s 454th birthday. 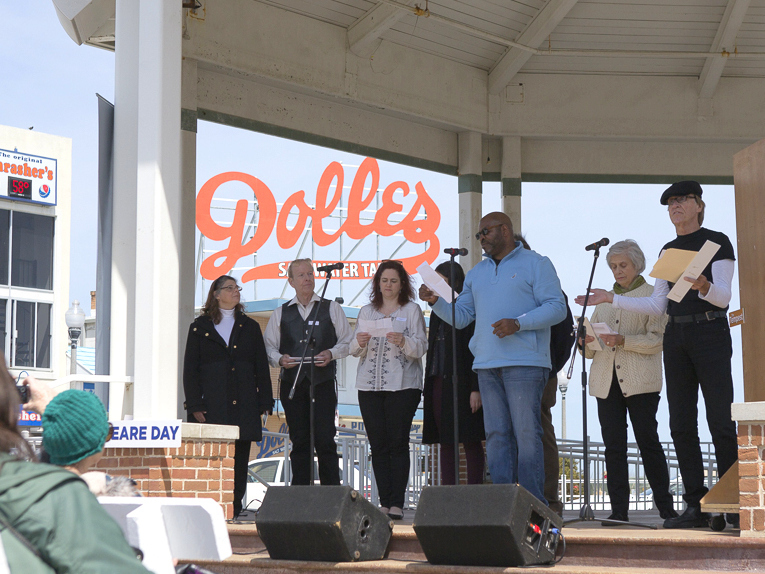 To celebrate, Delaware Shakespeare sought to present every single play Shakespeare ever wrote in the course of one hour at the Rehoboth Beach Bandstand on Saturday, April 21. In partnership with Clear Space Theatre Company and the City of Rehoboth Beach, the aim of the event was to have about 20-30 seconds of dialogue from every Shakespeare play performed in a whirlwind fashion on “Shakespeare Day“ -– a fun, light-hearted event that would honor the dizzying diversity of Shakespeare’s writing and the collaborative spirit of Sussex County residents. Volunteers from a wide cross-section of the community--from the government, arts, education, and business sectors--stepped up to the mic for their 15 seconds of Shakespeare glory. 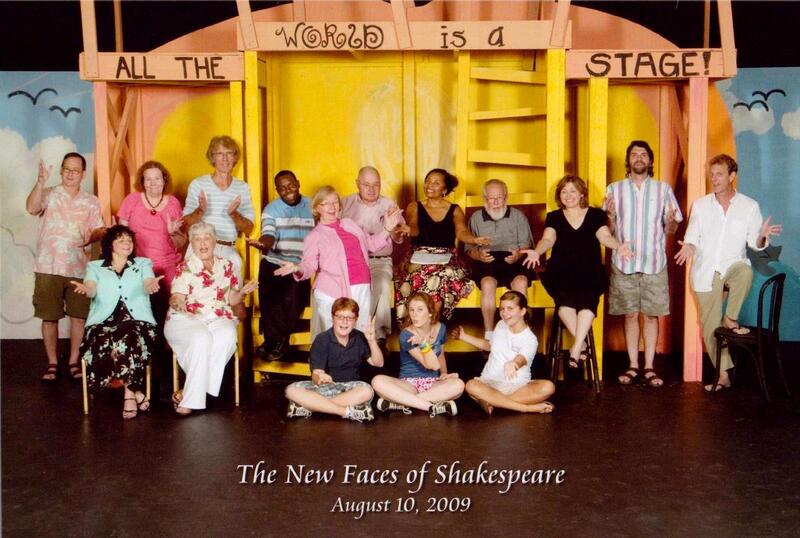 And Possum Point Shakespeare Players was proudly represented by eight of its own! 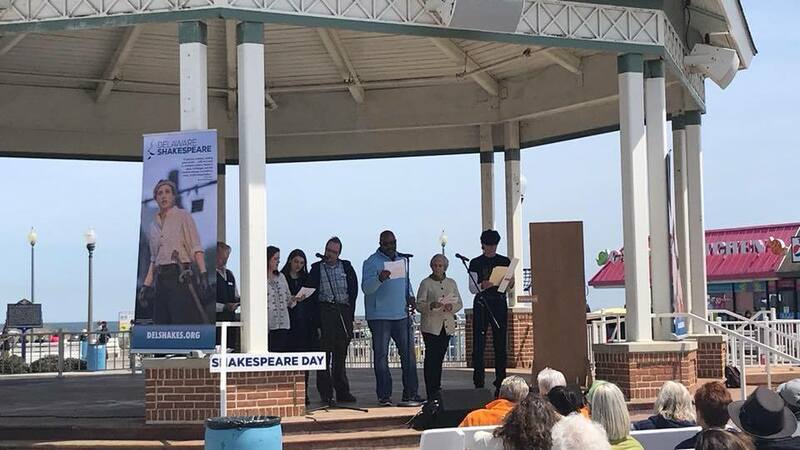 PPSP presents a bit of The Tempest at Shakespeare Day in Rehoboth Beach, April 21, 2018. 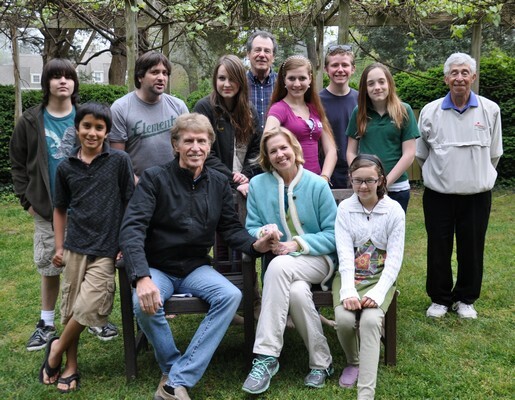 Pictured (l to r): Thom Harris, Tara Wisely, Elizabeth Holz, Michael Short, Claudius Bowden, Mary Moran, Richard Huffman. Our play begins as Don Pedro, the prince of Arragon, and his officers return from the recently concluded war. The Prince’s party of soldiers arrives at the home of the Lady Leonata, with Count Claudio, who had before the war been attracted to Leonata’s only daughter, Hero, and Benedick, who enjoys sparring wits with Hero’s cousin and companion, Beatrice. Leonata holds a masked ball to celebrate her visitors and the end of the war. During the ball, Don Pedro arranges the engagement of Claudio to Hero, while the prince’s brother, our villain, Don John, devises a plan to spoil the general happiness by plotting with his comrades, Borachio and Conrade to deceive Claudio into believing Hero is false to him. A trick is carried out with the unwitting assistance of Hero’s maid, Margaret, who talks from Hero’s bedroom window with Borachio at night while Claudio and the prince, at the urging of Don John, watch secretly from a distance, under the delusion that the girl at the window is Hero. During the ball, Hero, Don Pedro, Claudio, and Leonata decide that Benedick and Beatrice are ideal partners and by means of overheard conversations, the two realize that they do indeed love one another. At the wedding, Claudio publicly denounces and shames Hero who faints dead away from shock. Claudio and Don Pedro leave before she is revived. With the aid of the priest, a ruse is devised in which Claudio and Don Pedro are informed that Hero has died from shock until her good name can be restored. Help is at hand as the village constable, Dogberry, and his assistants have arrested Borachio and Conrade after overhearing them boasting of their deception of Claudio and the prince. The play comes to a joyful conclusion when Dogberry’s information is given to Leonata and Don Pedro. Claudio agrees to marry Leonata’s “niece”, whom he has never met, in place of Hero, whom he believes has been killed by his slander. The “niece” turns out to be Hero, and as the lovers are reunited, Benedick and Beatrice announce that they will share the wedding day. Don John has been captured while trying to escape and the play ends with a merry dance.